...and one to go. Jim's Norwegian Star Hat is finished. I need to try again on the photo. Cassie's hat is next. It was down to the wire. The hour of the baby shower loomed ever closer. My fingers moved as fast as they could. 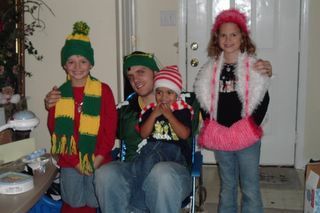 The gift: Two blankets, a hat, a pair of socks, and a pair of thumbless mittens. They went into the dryer while I finished getting ready to go. 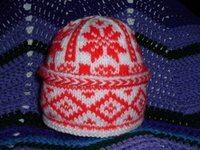 I knitted the second mitten this morning, and then added the little puff ball to the top of the hat. This evening I'm working on the Norwegian Star and relaxing. 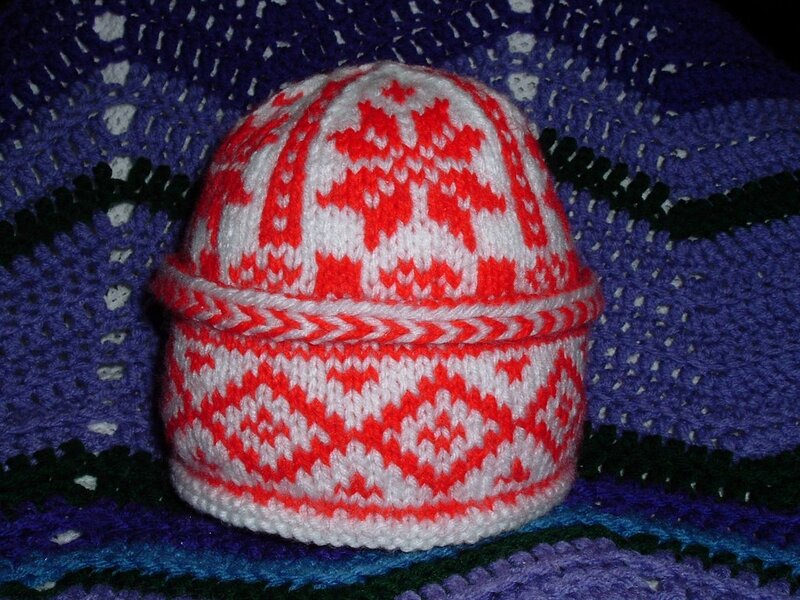 No, I haven't finished the first of the Norwegian Star hats, but I am clicking along pretty well. My nephew was gracious enough to help me show you how it's coming along. 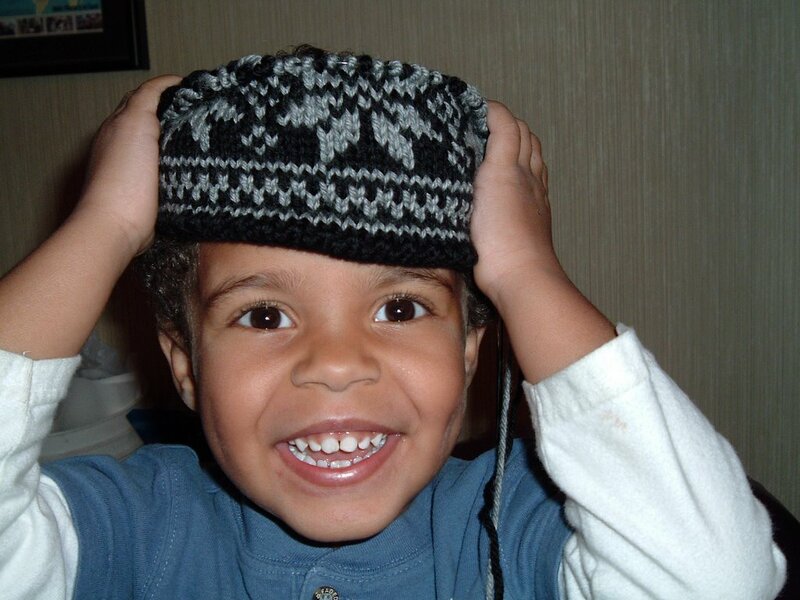 Were it not for a baby shower on Sunday for which I must knit furiously, I think I could finish the hat this week. 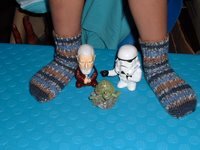 Here are the socks I knit for my nephew using Lion Brand Magic Stripes. He also wanted Obi Wan Kenobi, Storm Trooper, and Turtle to be in the picture with him. Yes, we've been to Burger King more than what I'm used to, lately. At this point he also has a little yellow spaceship thing and R2D2. What he doesn't know is that I've gotten him a Queen Amidala and Chewbacca, but I'm keeping those hidden back for a bad day, or a good day, I suppose. He's been spending a lot of time with us lately. I'd like to knit some more for him. Sometimes he is interested in looking at yarn with me. I've taught him to pet yarn, and he's not shy when it comes to letting me know what he likes and what he does not like. Here's a bit of shameless bragging. At Michael's Five-Hour Yarn Event on Sunday, I won the Fastest Knitter Competition. 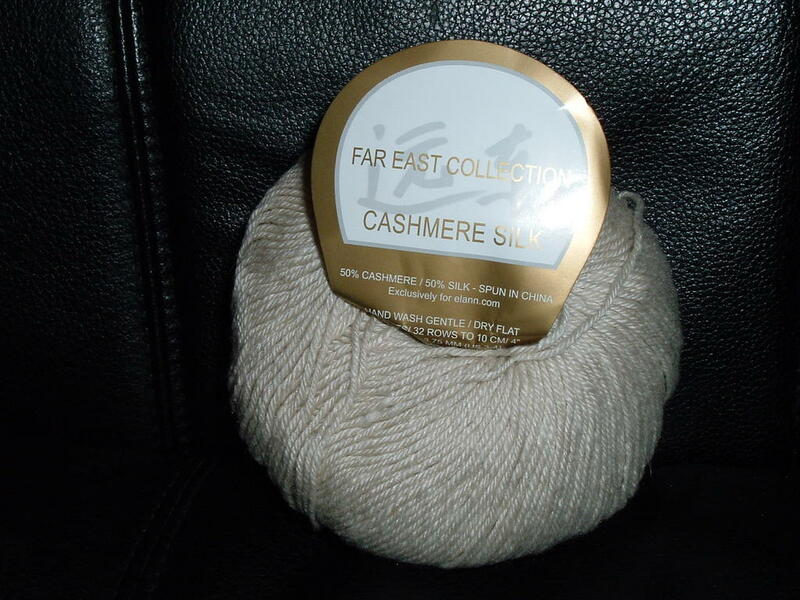 I received a very nice basket with some Bling-Bling, Fun Fur, Fancy Fur, Lion Bouclé, US 13 Bamboo Knitting Needles, and a couple of booklets for knitting with these yarns. I'll post a pic later. I have a few others that I need to post, but the weather has been bad, so my computer time is limited. The same goes for today. Today is Tuesday, so you know what that means. After having to restart my Norwegian Star hat, it's clicking along. Then again, this is just the plain ol' stockinette-stitch lining portion, so not much to report. Be safe, and weather aware, kids! Don't forget your knitting and a flashlight. 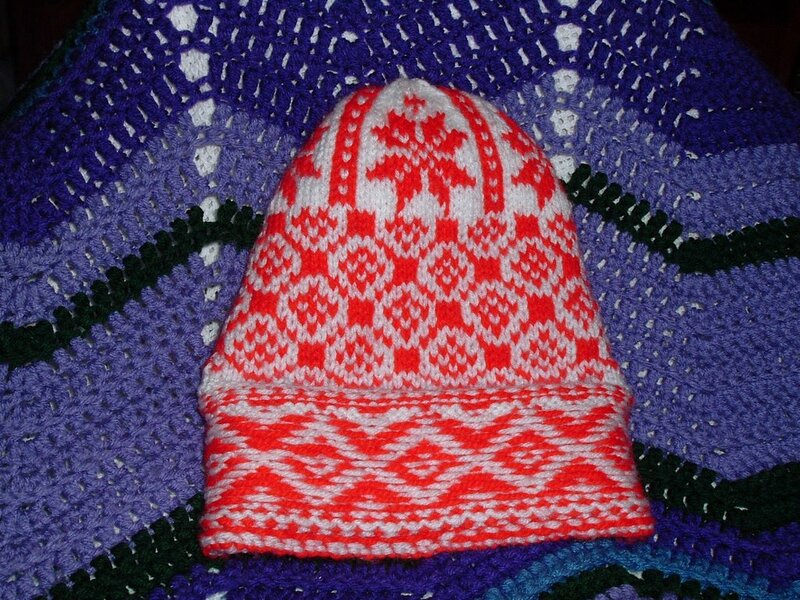 It's time for Norwegian Knitting! 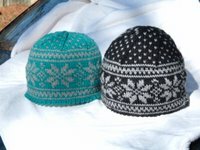 I've joined the Norwegian Knits- Along, and I'll be knitting Norwegian Star hats from Hats On! by Charlene Schurch. I'm so excited to cast on and get going. I plan to knit these hats as Christmas gifts. ...you just can't tell what season it is around here. Oh, there are lovely fall colors on the trees, and the leaves are falling, but we're setting record highs in the temperatures. While the global warming debate rages on, I think I have another explanation. You see, I started working on my Kangaroo again. Every time I work on it, the weather warms up again. I've cast-on for my sleeves (the last bits to be knit), and now people are wearing shorts. I've sent for a way cool giftie for my Secret Pal. It is to be sent directly to her, and I really think that this is going to fit with some things she has been wanting to knit and design. 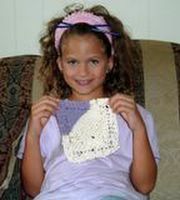 Even better, they will be things she would knit for herself, and it's good to knit for yourself. Anyway, I'd like to get another little package in the mail for her soon because it might take a couple of weeks for her prize to arrive. I finished knitting my ALF; I just need to block it. I've also finished a pair of socks for my nephew using Lion Brand Magic Stripes in the Brown and Blue Pattern colorway. I'm going to try and get him to put them on and let me take a picture. I think I've got my comments fixed, now. I had the settings messed up, but I think I've got it the way they should be. Yes, I too have received my free Bernat Disco in Mr. Brown. I'm willing to take in orphaned Disco Balls from those of you who did not like what arrived in your mailbox. I got a nifty e-card from my Secret Pal today. Thank you, Secret Pal! I've had a great time at my knitting meetings the past two days. Now we're just daring each other to show up at Michael's Five-Hour Yarn Event on Sunday and enter the fastest knitter contest. 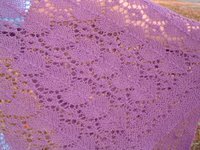 I am finally back to where I was knitting my All Over Lace Faroese Shawl that I got at The Knitting Zone earlier this year. I am knitting it using Superfine Merino that I had purchased awhile back. I am trying to do better about knitting up my stash, and this has been an enjoyable process. 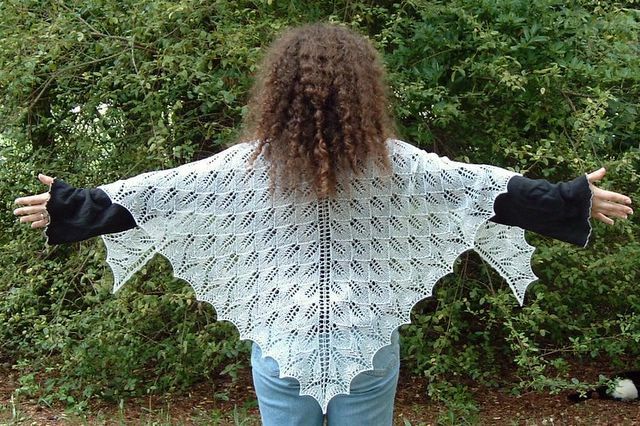 While I love to get new yarn, (those three skeins of Alpaca Cloud in Tide Pool for my Pacific Northwest Shawl will just have to stay at Knitpicks for now) it helps me to feel better about myself and more responsible when I use what I already have. Anyway, I started knitting this on Monday at our meeting, but started over again at the Friday meeting. 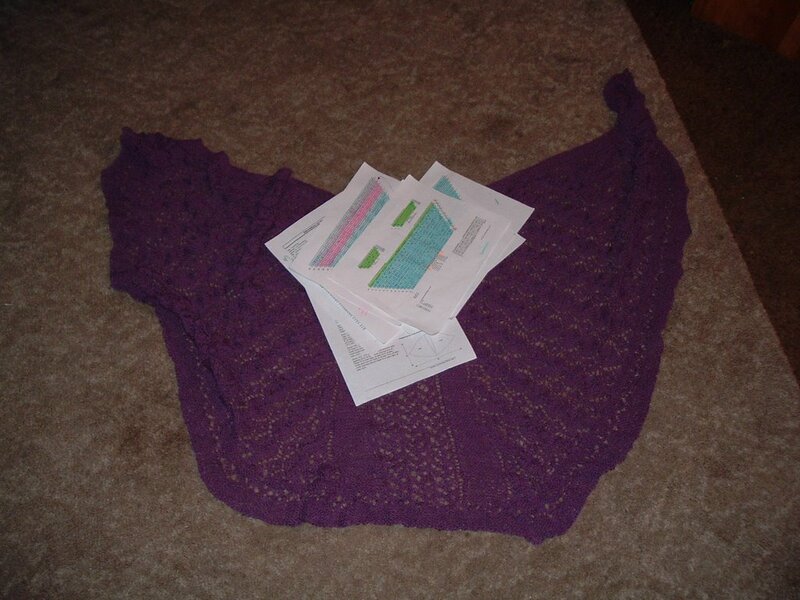 I had been up to row 21 (as I am, again), but I wanted to make a change and fix an error, so I re-started the shawl. However, when I got to row 17, I took a stitch marker break. I put up the knitting and got out the beads. I snipped and bent wire, strung beads together and put them back, but finally managed to make a few stitch markers. 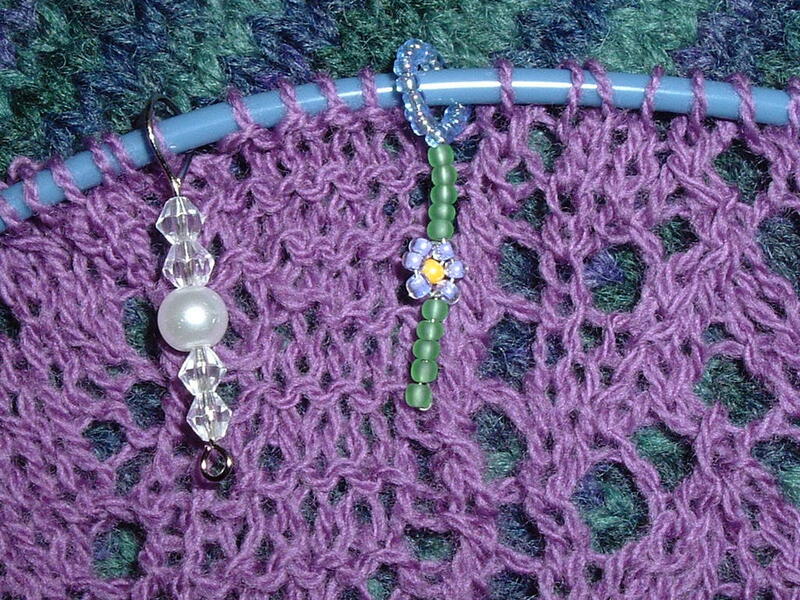 Since this shawl does not have sections using the stitch markers bordered by yarnovers, I get to use what I made. So, when I went back to knitting, I replaced my plastic stitch markers with the crochet cotton hanging from them with the new ones I had beaded. This little picture shows two that I made. 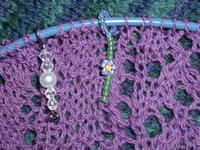 I figure it would be better to show the stitch markers than the small bit of progress on the shawl. Once again, you can see my Kangaroo lying underneath. I guess I've been productive lately, as I also have my first package ready to be mailed to my Secret Pal. I just need to go to the post office. Speaking of Secret Pal, my spoiler requested a picture of me, so I was brave and put on a dress and allowed myself to be photographed. Doesn't something like that deserve chocolate? Of course, then I'd just have to do another exercise video, so maybe not. Maybe, I'll just get back to my shawl. Yes, they were calling the baby "Pedro" before they even found out that it will be a boy. Funny people, eh? 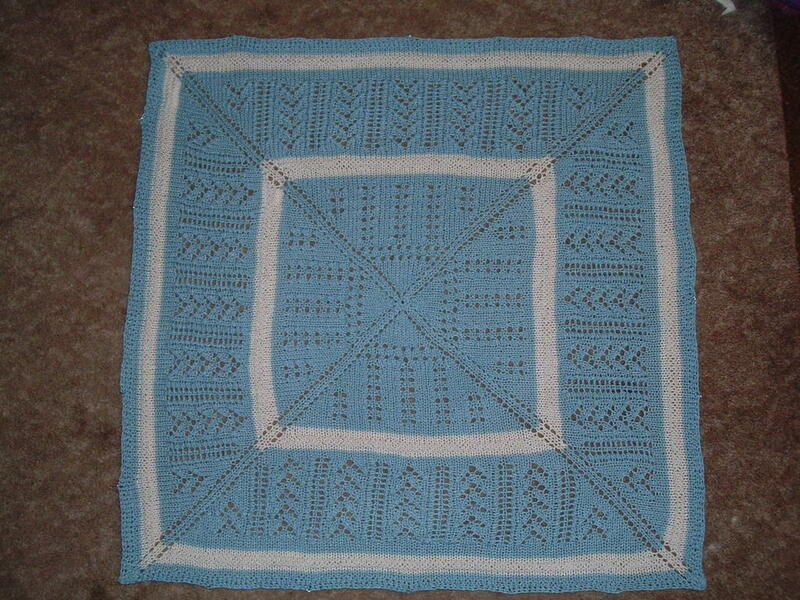 This is my first lace baby blanket. I made it about 36" square, and only suffered a small burn "killing" the acrylic. That was also my first try at acrylic murder, and I must say that I am rather pleased at the results. Now, the world just waits for "Pedro." I think that the baby will actually be called John, but I'm growing rather fond of referring to him as Pedro. 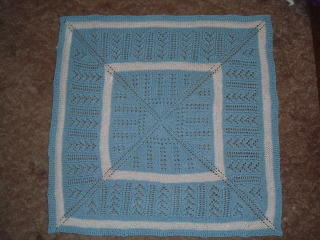 I finished off the edges of the blanket in seed stitch while the winds of Katrina blew all about us. 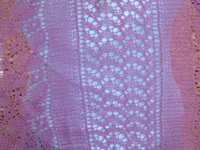 I used (with a bit of variation) the lace up through Van Dyke and Rib from the Kerry Blue Shawl from Traditional Knitted Lace Shawls by Martha Waterman. 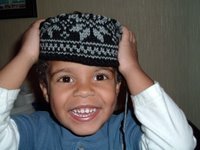 The blanket was a joy to knit, and I hope that the joy follows Pedro for life. Here are the baby booties that I donated today. Yes, that is indeed my Kangaroo beneath them. 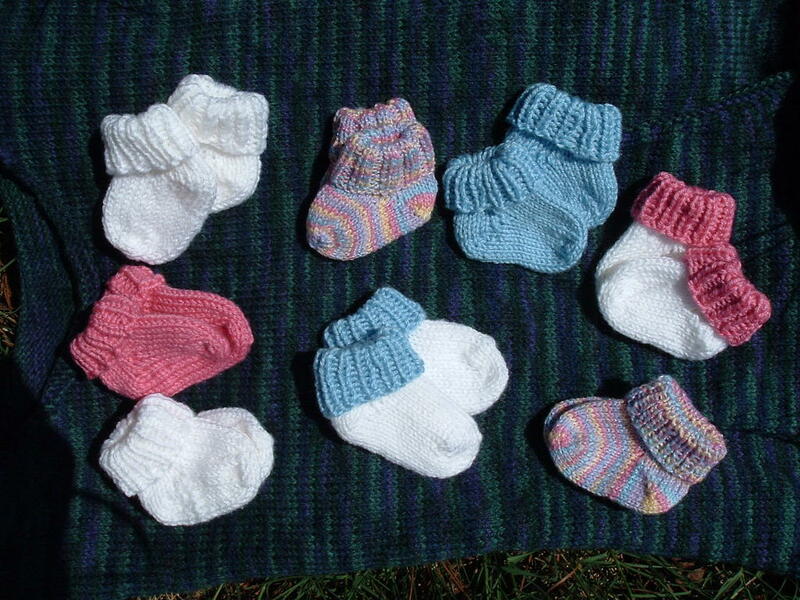 I had knitted nine pairs, but one went to work with my mom for a baby shower. She also brought all of those cream cheese mints we made last night. That recipe sure makes a bundle of little mints. Working together, it seemed like we would never see the bottom of the bowl. She used the mold of baby booties and I used one of a flower. I even had to bring some home because she ran out of space. 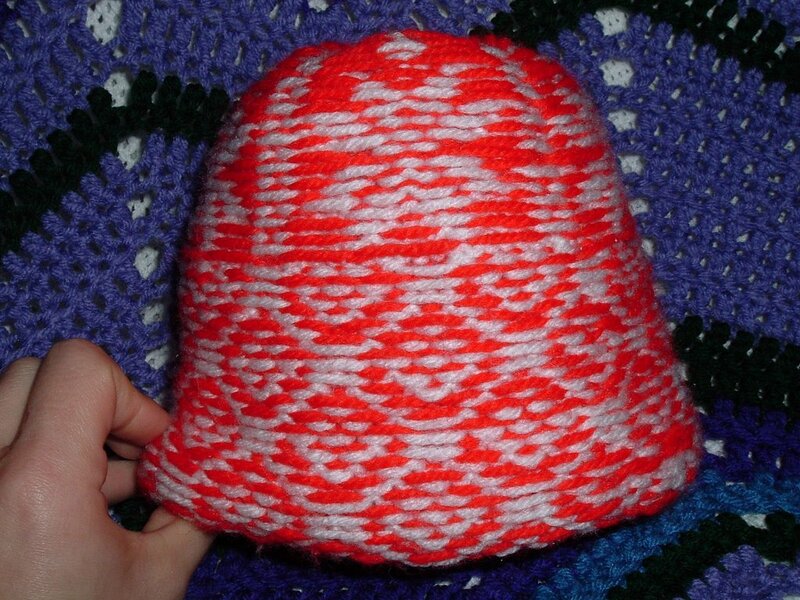 I will get back to baby knitting soon, because another baby I know of to be debuting towards the end of January or beginning of February has been predicted to be a girl. Now I get to knit a blanket for a baby girl. Time to chart and swatch some more. The other good news about these babies is that I get to use up the oodles of baby yarn I had been given that I was unsure of how I would end up using. I’ve begun to put together my first package for my Secret Pal. I spent time reading through her archives, and I think I have some nifty ideas for extra little goodies over the coming months. This is such a joy. I’m getting ready to exercise, and then I can get myself packed up to go knitting at Barnes & Noble. Maybe I should try to leave the coffee alone this time, but I love it so much. We stayed knitting last time until the voice over the p.a. system announced that it was time to close. Last week I picked up Simple Socks Plain and Fancy, and it is a fabulous book. Oh, I’ve been going through it just picking up more little tidbits to improve my socknitting. My mind wouldn’t focus well enough to work the different cast-ons, but I’ll have plenty of opportunity to use them later. I tried her directions for a short-row heel last night, and it turned (pardon the pun) out so well. I wish I would have read through and tried these directions before I sent that baby sock pattern to my grandmother. This heel is so much easier and nicer. I’m still knitting the baby socks for charity (due Friday), and then I have my Dobby socks to knit. I still have to pick up some Lion Brand Lamé in Gold and in Silver for accents on the sock with the Golden Snitch. Of course I also have to cast-on for my husband’s socks, but those will be toe-ups. In the meantime, it is baby socklets all the way this week. 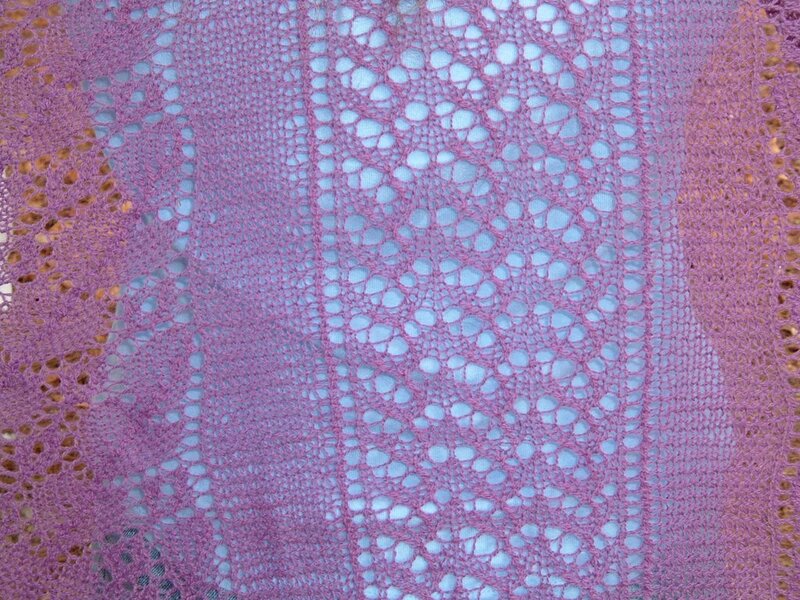 My needles are itching for some lace, and wouldn’t you know it, Knitpicks has been tempting me some more. Now, be good, Sarah. Speaking of being good, it’s time to pop in a dvd and start sweating. Getting together with other knitters is so great. I went to a meeting tonight, and it was such a blast. It was just the three of us, but I really had a wonderful time. 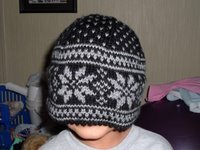 We had a new knitter, and as it turns out, she is someone with whom I attended high school. I cannot believe how sketchy my memory is from that time period, but I’m not complaining. I’m just hoping that I don’t have one of those “back in high school” nightmares tonight. Then again, the iced coffee might just have sleep sufficiently chased away. This just really has been a good night. I got my copy of the new Switchfoot cd in the mail today that I won off of the radio. The cd has its official release tomorrow. Some birthday gifts I ordered showed up in the mail, too. Hobby Lobby has all of its knitting needles, crochet hooks, and accessories ½ off, and the books are ½ off, too. So, I stopped in and picked up a couple of things. I have never tried the Lion Brand needles, so I’m giving some of their dpns a go. I’ve been knitting little baby booties lately because so many people keep announcing that they are expecting. It seems like most of these new people are due to make their entrances into the world at the end of January or beginning of February. I’m also knitting these booties for a drive for young mothers that a local radio station is sponsoring. I checked to make sure that my handknitted booties would be groovy, and it’s all thumbs up from everyone. I’m excited about getting my Secret Pal soon. Some sort of gmail issue is preventing us from all being matched up already. This is my first go for the whole Secret Pal exchange, but it sounds so neat. I've signed up to participate in Secret Pal Six, and here's my questionnaire. I feel so greedy answering about all these things I'd love to have, but I look forward to spoiling my secret pal with things she'll love. I prefer natural fibers and high quality yarns, but I try to not be a snob. 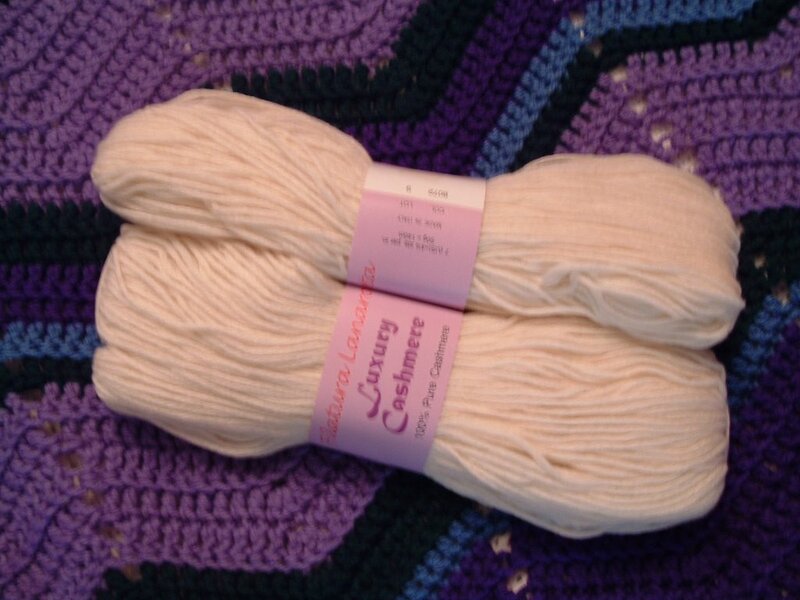 I like for my yarn to be soft, and pleasant to work with and wear. I'm putting a lot of time and care into my knitting, so I try to use the nicest yarn I can. I have given the ol' drop spindle a go, but I'm not very good at it. I do crochet, but haven't done much of it lately. I avoid smoke like the plague. I think it's been about four or five years now. Amazon and I have one with Knitpicks. I dabble with the beads from time to time. I try to put in some time on the drop spindle. Home exercising to various workout dvd's has been cutting into my knitting time for the last two years, too. R.E.M. and Toad the Wet Sprocket have been spending a lot of time in the cd player, as well as contemporary Christian music. Purple is my favorite. I guess I'm less of a fan of orange and yellow than other colors. I'm married. We feed wild, stray cats that make their way to our front porch, but won't let us pet them. We also have fish. I want to be a good person. I hope to grow, improve, and develop greater wisdom and understanding throughout my lifetime. Oh, that is so hard to decide. Jaggerspun Zephyr has always come through for me, and it fits my pocketbook. Alpaca and merino have never let me down, either. I want to give Knitpicks' yarn a try, because I've heard they're very good and they're affordable. Anything harsh. I prefer my challenge in the pattern, not the yarn. Yarn is my friend, I don't want to do battle with it. I'm also putting much care into my knitting, and want it to be used once completed, not cast aside. I like soft, pettable yarn. I've also not had such good experiences with chenille. I've got socks, a scarf, and a shawl on the needles. I think that they are not particularly flattering to most figures (mine, included). 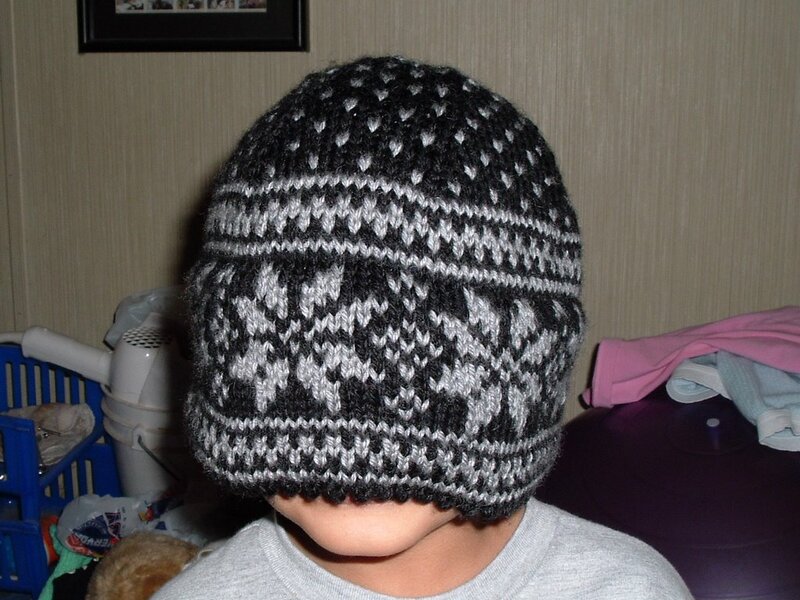 I am willing to knit one, on request for a loved one, though. Long, circular needles are the best. It depends on the yarn and the project. I've had good results with all three, but I have the fewest bamboo, and would like to expand my selection of bamboo needles. Yes, I am. I do dpn's, and circ's. Books and the internet mostly, and then I've gotten some help from knitting buddies once I found a group in town. The left Selbu Mitten from Folk Mittens has been waiting for the right one to be knitted for about three or four years, but I haven't even cast-on for it. I guess I don't really have a favorite, but llamas always make me smile. I used to buy the Sanrio stuff when I was a kid, and I still think it's pretty nifty, even though I haven't gotten any in awhile. Thanksgiving. I love the food, the family time, and taking time out to be thankful. Yarn, needles, patterns, books, bad habits, and obsessive thoughts. I'm not subscribed to any magazines, but I do occasionally purchase an issue of Interweave Knits. 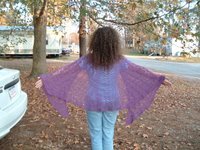 I don't know why I haven't gotten Knitting Into the Mystery, yet, and I'd love the Barbara Walker's for design, Module Magic, & Treasury of Magical Knitting for trying something different. 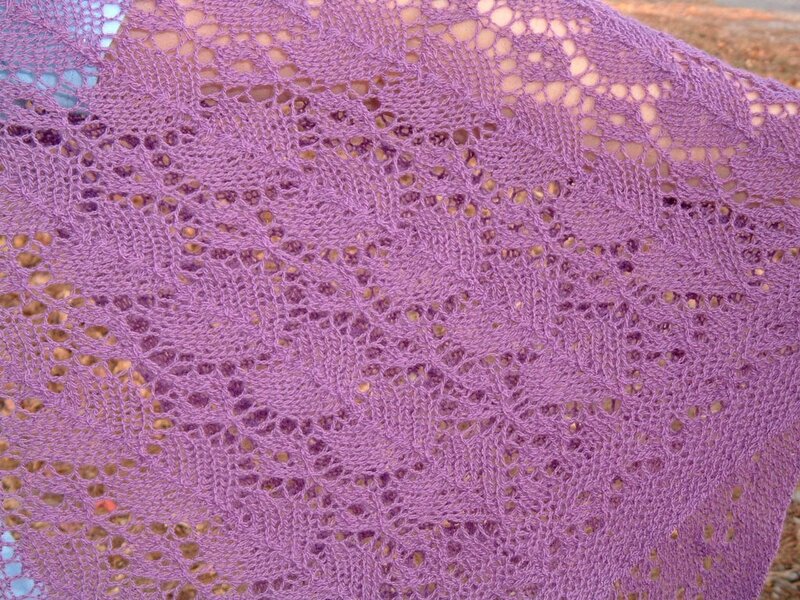 I've always wanted to knit a wedding ring shawl. I guess that might be my knitting equivalent of a life dream. I'd also like to knit Fiber Trend's Sheep Shawl. My foot is 9 inches long, just over 9 inches around the ball of the foot, my ankle is just under 9 inches, my heel height (center of medial malleolus to floor) is 2 1/2 inches. I like handknitted socks, be they plain or patterned, toe-up or cuff down.